Rock Stars. . HD Wallpaper and background images in the Winx Club（ウィンクス・クラブ） club tagged: photo winx club season 3 characters bloom stella rock star outfit fan art deviantart. 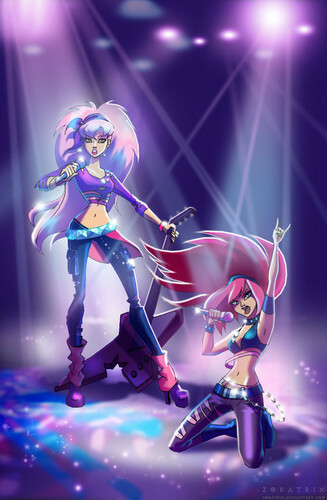 This Winx Club（ウィンクス・クラブ） fan art contains コンサート. There might also be ギタリスト, ギタープレーヤー, and ギター プレーヤー.